Standoff 2 is an impressive shooter game, bringing you into the crazy battle. The game was released by Axlebolt, a publisher based in Russia. This is the next version of the popular first-person shooter series on mobile. 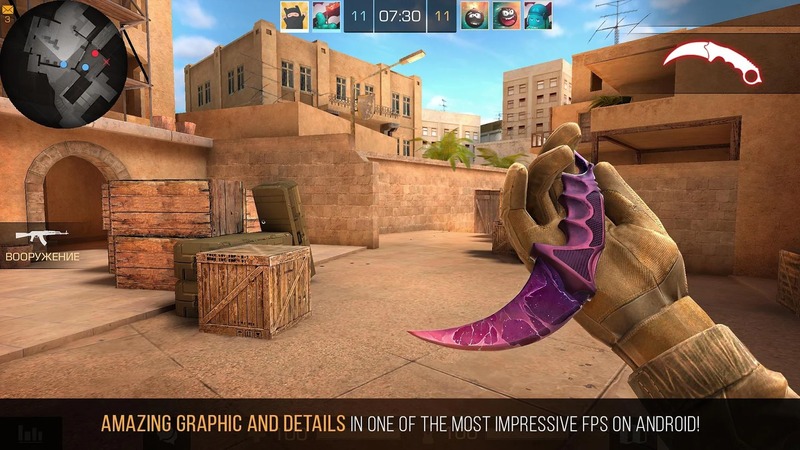 Many people judge that part 2 of Standoff is “CS: GO on Mobile” because the game has been upgraded a lot in terms of graphics and has a lot of new things like weapons, maps, game modes, … promises to bring us more exciting experience. In general, the gameplay is still like a traditional FPS with a lot of competition and classic maps. In order to play this game well, you need fast reflexes, high judgment, and accuracy in each situation. If you die, you will have to sit outside until the round ends. New players of FPS games often have difficulty when integrating with the game. They often panic when they encounter enemies and often make the wrong decisions in each battle. If you encounter this situation, do not worry, you will soon become No. 1 gunman of Standoff 2. Although the game is hard to play for newbies, but Standoff 2 brings justice to the players. Winning or losing is by the skill and ability of your teamwork with your teammates, not as a “pay-to-win” game. Standoff 2 has full of guns of a traditional shooting game. 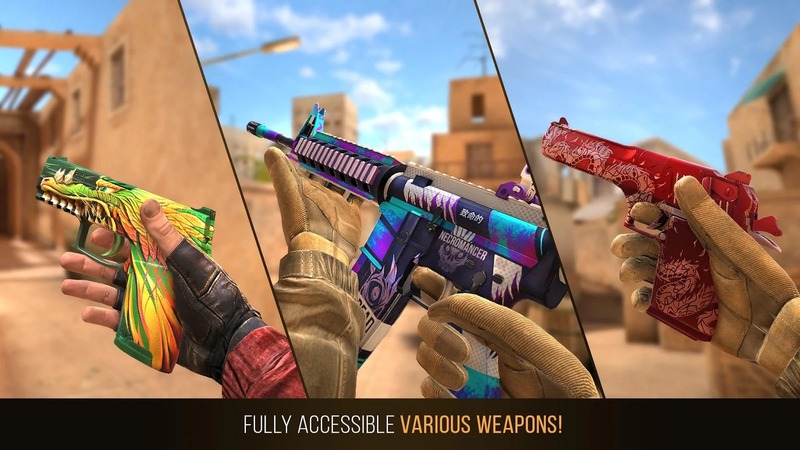 You can own the legendary guns like AK 47 or M4A1, Desert Eagle in many different ways. 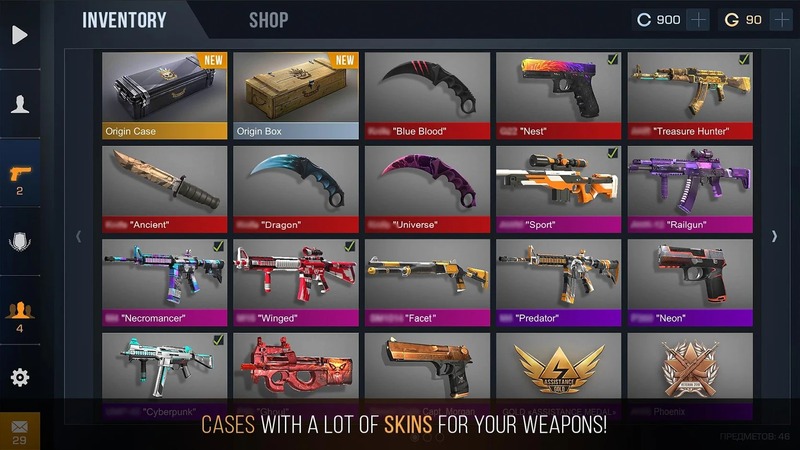 Guns are bought with virtual money in the game or you can use cash to buy skins for them. Doing tasks and opening mysterious gift boxes is also a way for you to own the best guns. Don’t miss it! In addition to Deathmatch mode, Standoff 2 now has two more interesting modes are Defuse The Bomb and Arms Race. There are also new additions mode to the game, such as Capture the Flag, Robbery and the tournaments. 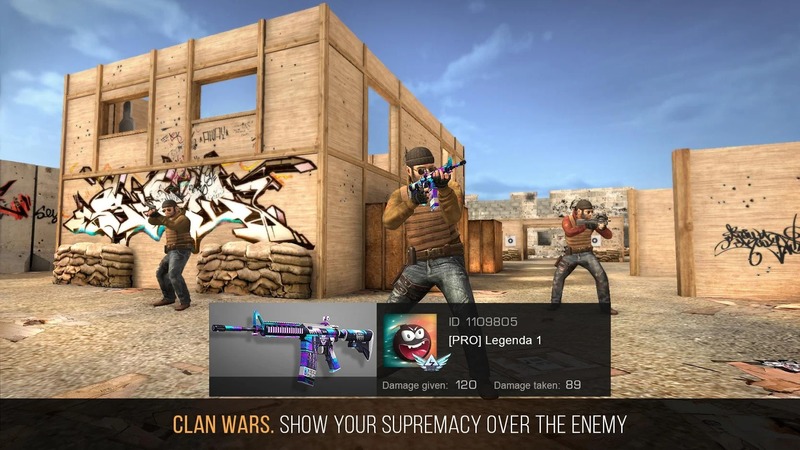 Highly interactive between players are not only shown in fighting together but also through communication in the game and allowing players to trade guns or costumes, weapons skins. 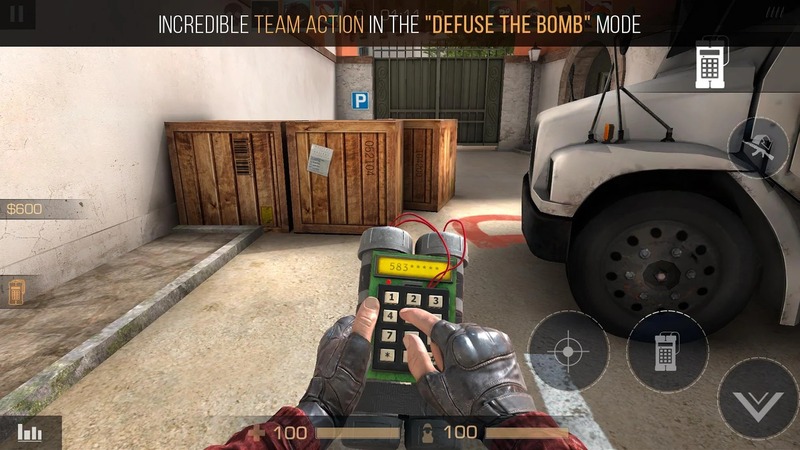 If you played Counter Strike then you know that Defuse The Bomb is the legendary mode of CS. The terrorist has the role of bombing one of the two designated areas, and the CT has a defensive role, preventing the Terrorist from achieving his purpose. If the Terrorist succeeds or the entire CT team is defeated, the Terrorist wins. In contrast, CT wins if refusing the bomb or kill the entire side of the Terrorist. For me, this is the most tactical and most exciting mode in a shooting game. If you love guns, Arms Race is the mode for you. In this mode, if you kill the enemy with all the weapons the game offers, you are the winner. Speaking of graphics, Standoff 2 has amazing graphics compared to an action game on mobile. The 3D graphics are realistic and details. The game images are realistic and detailed in high quality. The thing is that the way the character moving looks strange and funny, but that does not affect the player’s visual experience. In addition, the game has 6 different types of maps. Each map opens a new strategy that requires you to adapt if you want to win. It can be said that Standoff 2 is one of the best online mobile shooting games of the moment. Let join the fierce battlefield and fight with me by downloading this game to your phone. If you have something to ask, leave a comment below this article. Standoff 2 MOD APK is ready to download! 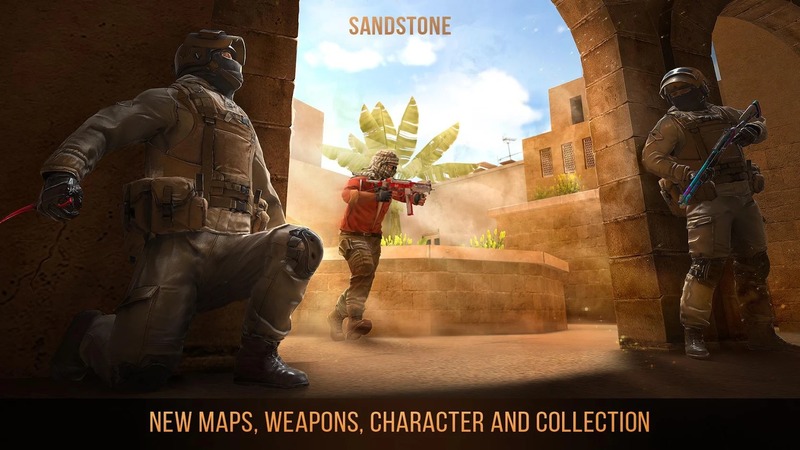 Depending on your needs, you can download Standoff 2 MOD APK or Standoff 2 Original APK. Or install from Google Play / App Store if you want.